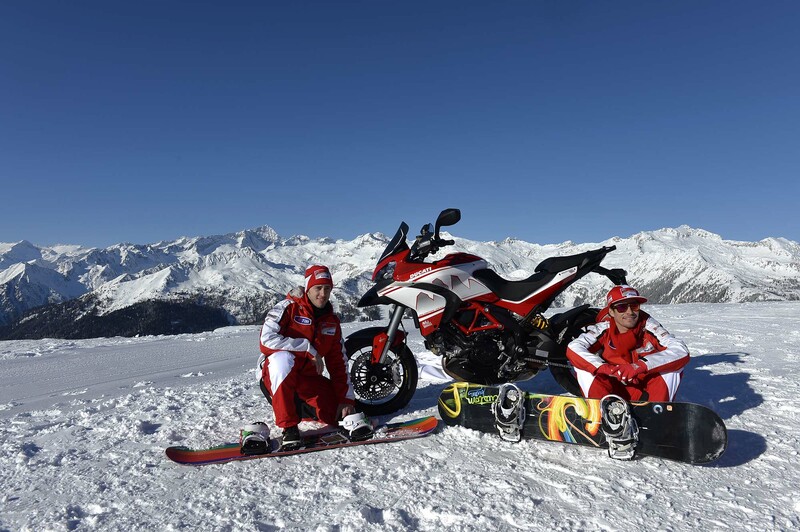 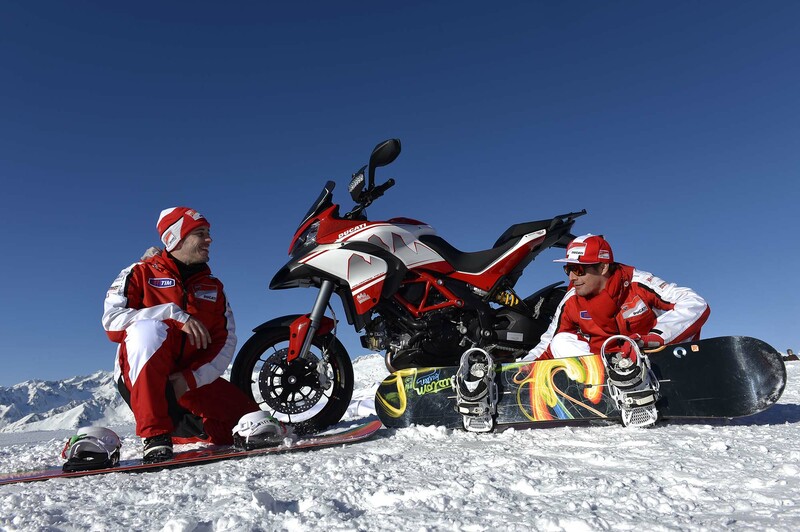 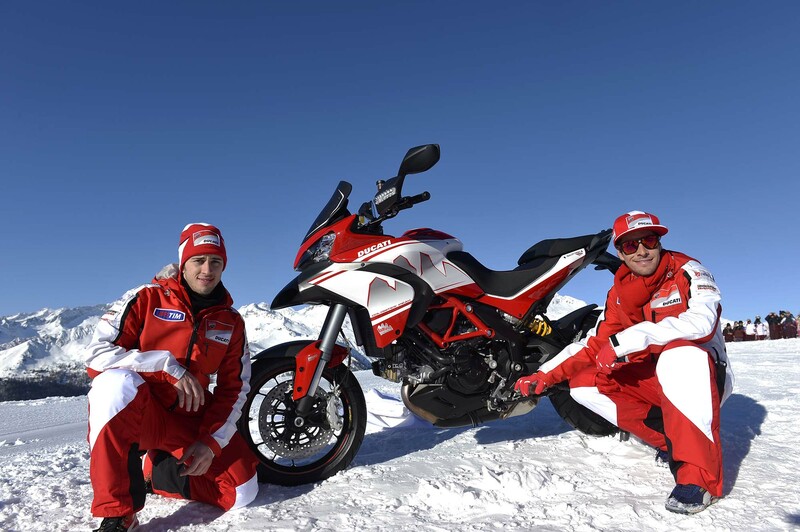 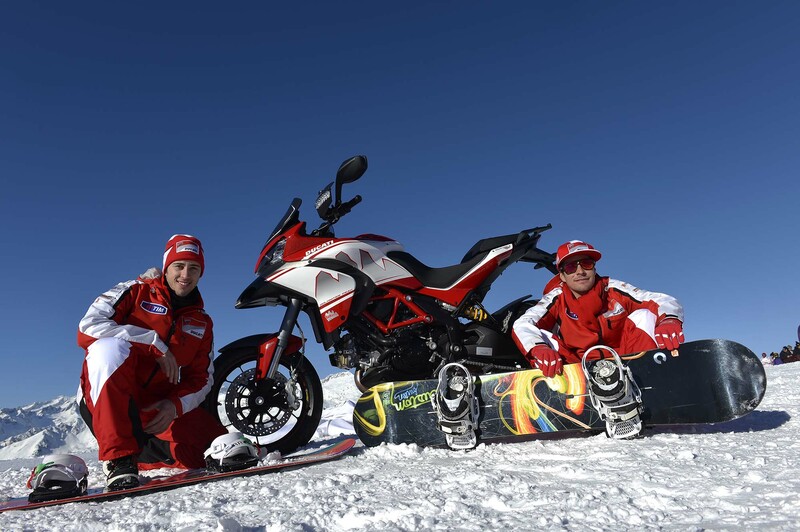 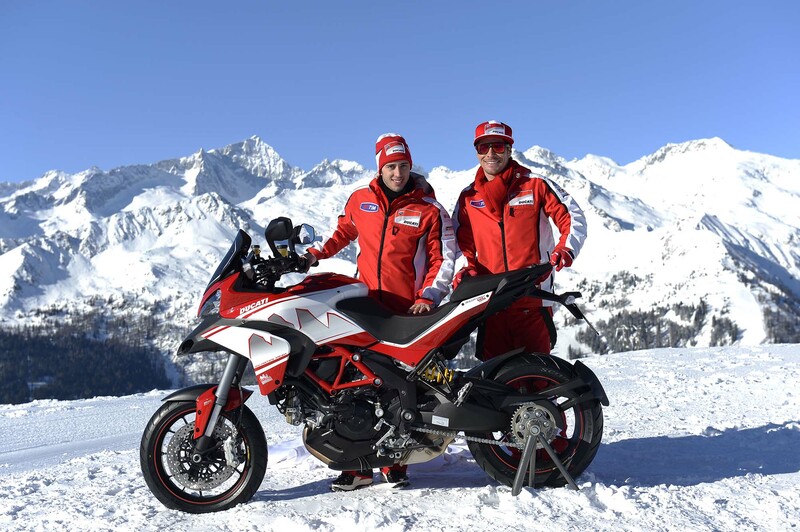 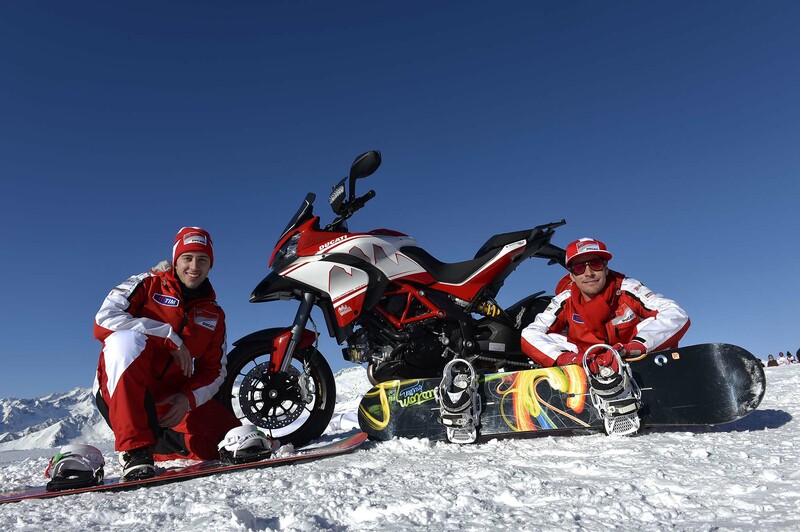 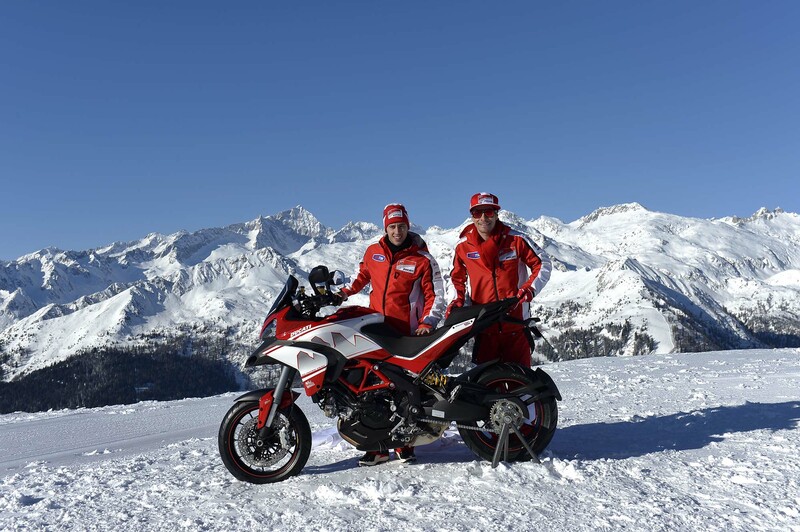 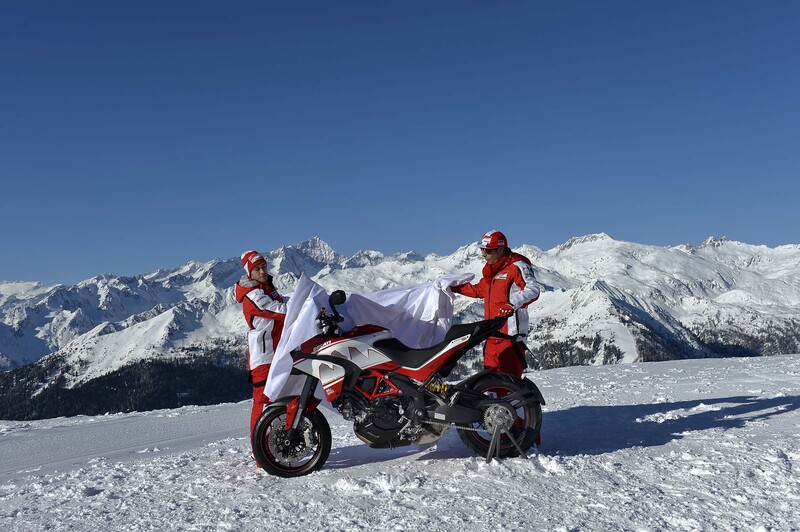 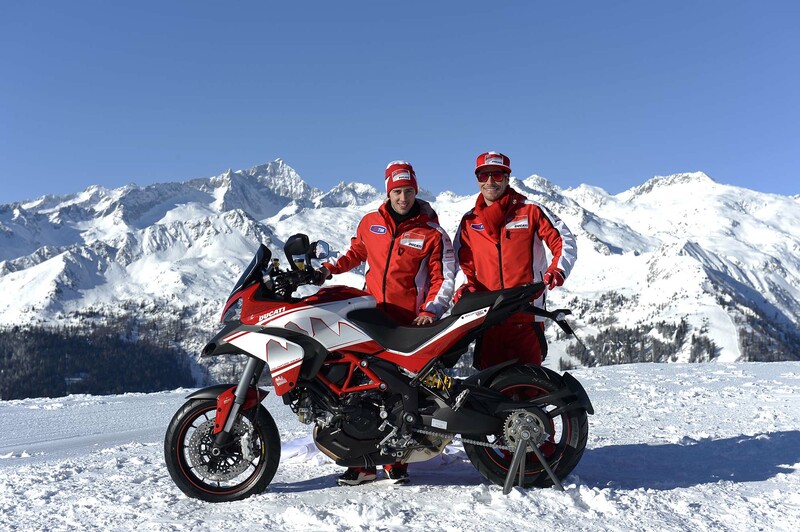 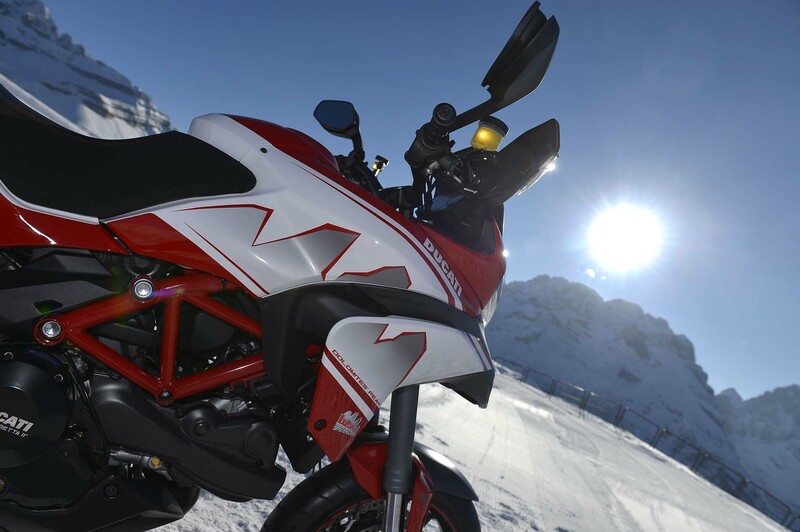 Wrapping up the 2013 Wrooom launch event that Ducati Corse co-hosts with Scuderia Ferrari, the Bologna Brand debuted a new one-off bike: the Ducati Multistrada 1200 S Dolomites Peak Edition — a homage to the mountain range where Ducati Corse holds its MotoGP unveiling event each year. 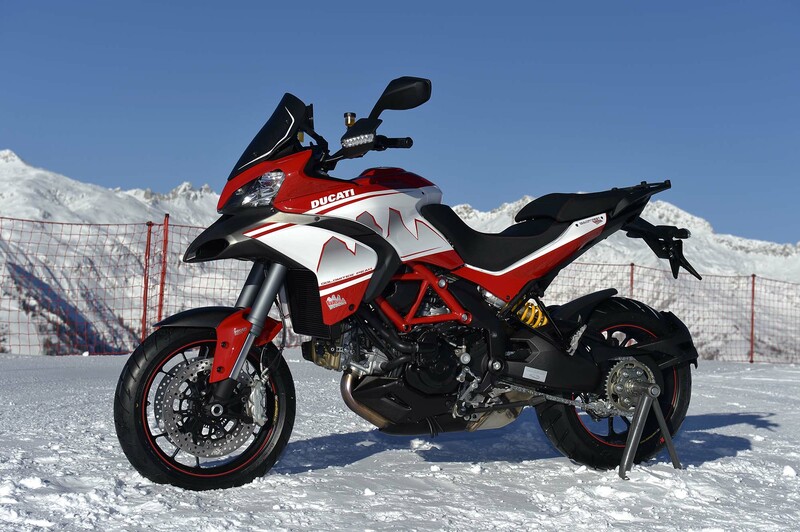 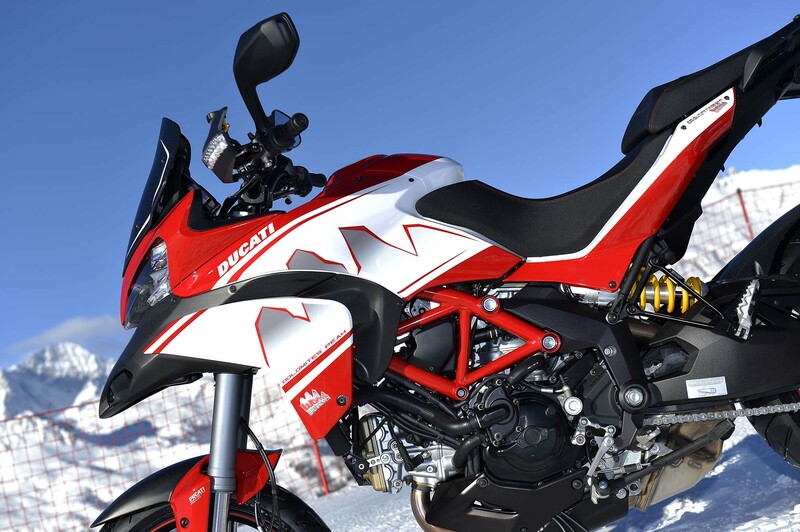 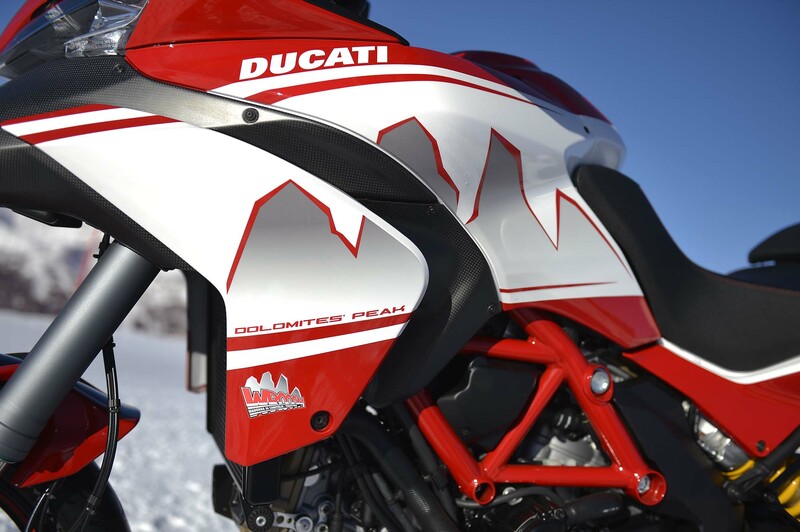 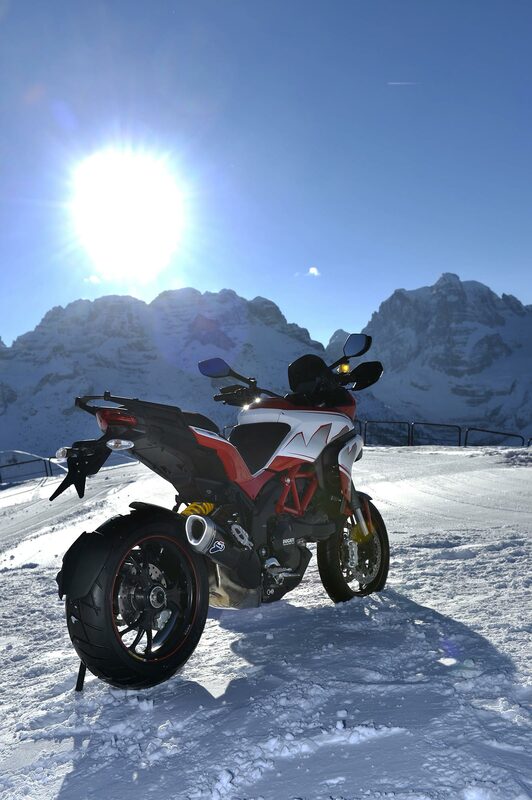 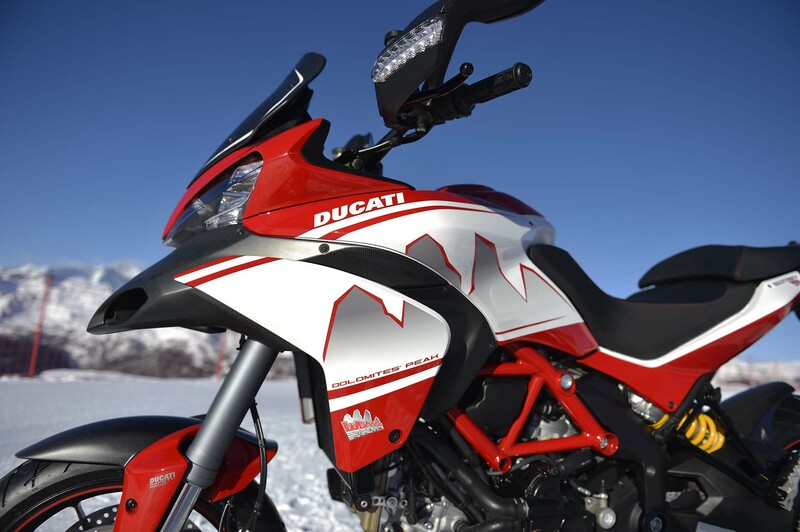 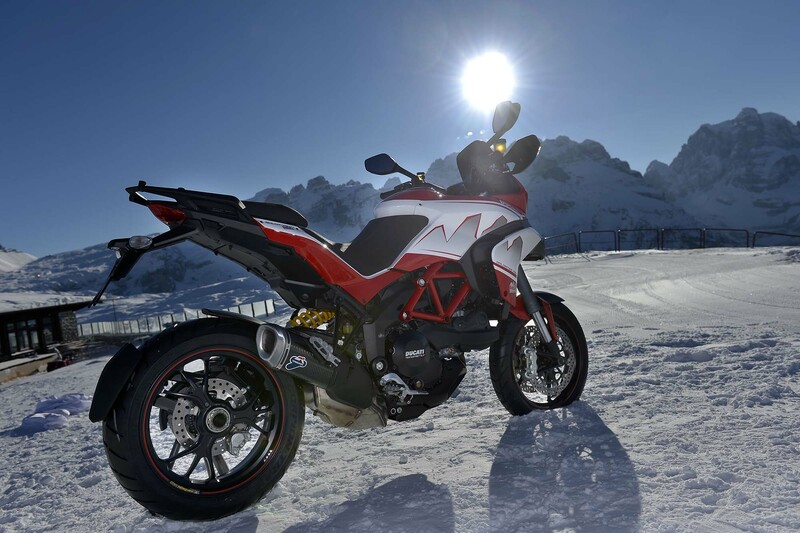 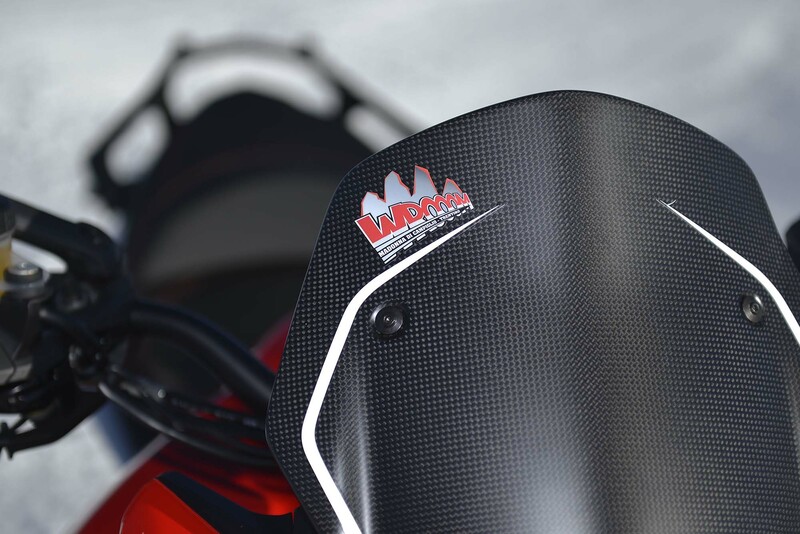 Taking the Ducati Multistrada 1200 S Pikes Peak Edition that we loved so much last year, the Ducati Multistrada 1200 S Dolomites Peak Edition adds a silver mountain range graphic to the otherwise beautiful red, white, and black racing scheme. 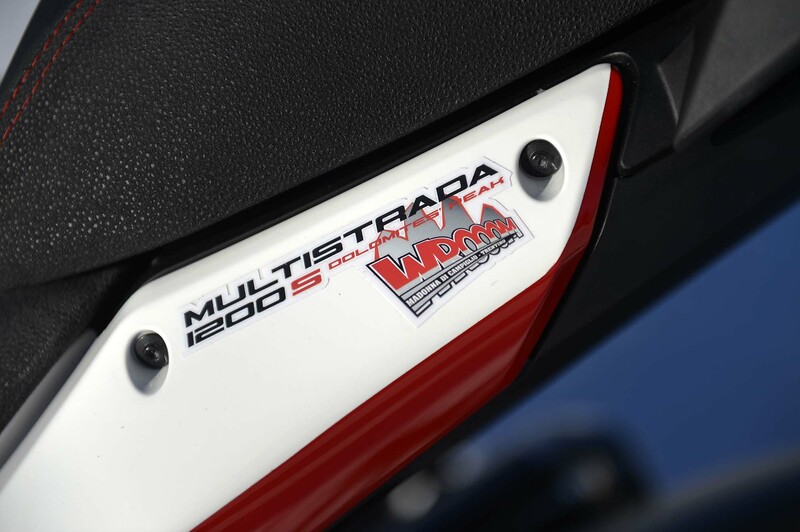 Just something special for the conclusion to the Wrooom media event, we are sort of glad that this Multistrada isn’t going to hit dealership floors, but still thought we would share. More photos after the jump.